Applying for a joint mortgage may seem confusing, especially if one applicant has bad credit. It’s common for couples to try and get a mortgage solely with the applicant who has good credit, but most lenders simply won’t allow this. Furthermore, if you’re married, then the majority of lenders insist that a joint application must be made. Bad credit can vary quite considerably and there are specialist lenders tailored for these exact circumstances. If you require a joint mortgage with bad credit, it’s always best to declare the credit problems you’ve encountered. Our advisors can then assess your situation to provide you with accurate advice and only approach the most suitable lenders. This article covers various scenarios involving joint mortgages with bad credit. If you’re still unsure of what to do, you can make an enquiry below and an advisor will call you straight back. What do lenders look for on a joint mortgage with bad credit? It’s important to first understand what lenders look for when applicants apply for a joint mortgage. We’ll then discuss the bad credit aspect further to give you a greater understanding of how it all comes together. Lenders will also assess the mortgage you’ve applied for. For instance, having a large deposit of around 35% or more will perhaps offer more incentive for lenders to say yes. If you have a smaller deposit, such as 5%, then lenders may be more reluctant in offering you a mortgage. Mortgages with small deposits may be deemed too high risk, as one joint applicant has bad credit. The majority of lenders prefer married applicants to take joint mortgages. The main reason is joint applications provide more security for the lender. The problem can arise where one applicant has bad credit and therefore is declined a mortgage. Fortunately, there are a handful of lenders that will accept sole applicants, even if an applicant is married. Such lenders will base their decision on the affordability of the sole applicant. How can bad credit affect a joint mortgage application? A credit search will always be made when applying for some sort of credit, whether it be a small loan or in this case, a mortgage. Credit agencies have a duty to reflect the conduct of an individual on how they manage credit. As a result, lenders will always check an applicant’s credit file prior to mortgage approval. Let’s take a look at which types of adverse credit can pose problems for joint mortgages, even if one applicant has a great credit score. What if the credit issues took place a long time ago? The severity of the credit issue along with how recent it was, will impact on whether or not you’re approved. A lender will generally only see the last six years of your credit report, so if you have historic credit issues, they shouldn’t flag up. If you’re part of a Debt Management Plan, then lenders will assess how you’ve managed your repayments. You may still have to declare whether or not you’ve previously been made bankrupt or had an IVA. If you or your partner has had such historic issues, then certain lenders simply won’t lend. Don’t panic, as other lenders may still offer you a mortgage. What if one applicant has great credit and the other has bad credit? Each lender has their own unique scoring system. As a result, there isn’t one answer that fits each lender’s criteria. Lenders each have their own policies on adverse credit and also have their own policies on how they process joint mortgages. Furthermore, lenders also vary on whether or not they’ll accept one applicant as opposed to two. If there are two applicants, one with great credit and one with bad credit, some lenders will base their decision on the lower score out of the two. This can be frustrating as the applicant with great credit has little bearing on the overall decision made by the lender. Other lenders may assess joint applications together, rather than basing their decision on the lowest credit score. Such lenders operate a scoring system in which they’ll assess both good and bad credit scores to calculate an overall credit score. If the joint score meets their average, then the credit part of the assessment will pass. If the joint score doesn’t meet the lender’s average, then the joint application will fail. There’re also lenders that may see past a low credit score if one applicant has a good credit rating. However, sometimes a good credit rating can still be declined. For instance, an applicant may have a great credit score but has recently used payday loans and as a result, could fail the application. In another scenario, an applicant may have a low credit score but meets the rest of their policies, so the application is approved. What if both applicants have adverse credit? 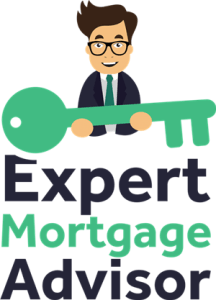 It’s difficult to get a mortgage when both applicants have adverse credit, however it all depends on how severe the issues are and how recent the credit issues were. A lender may decline anyone that’s had a CCJ in the last 12 months, whereas another lender may approve a mortgage with a CCJ. Certain lenders may be more cautious if a credit file shows defaults and other lenders simply won’t lend if you’ve been repossessed in the last three years. On the other hand, there are lenders that will accept both of these credit issues. 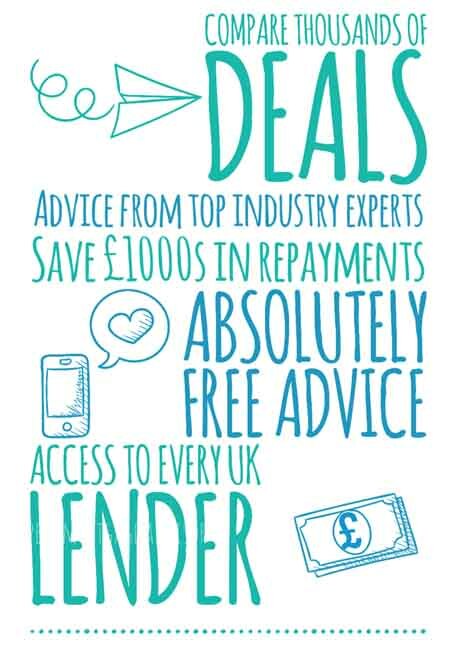 There are also specialist lenders that our advisors work with. For instance, the majority of high street lenders won’t entertain applicants who have late payments on their credit file. Specialist lenders will consider mortgage approval on more serious adverse credit issues such as bankruptcy. A large chunk of these specialist lenders will however, only offer deals through brokers. Joint mortgages can be confusing for borrowers. Once you throw bad credit into the equation, it becomes a minefield. Trying to approach lenders yourself to get a mortgage is based on pot luck and if you are declined, it can damage your credit file further. Our advisors understand lender criteria and are experts when it comes to adverse credit. If you need a joint mortgage with bad credit involved, then you will need a specialist broker. Trying to tread carefully in the hope that your mortgage is declined isn’t a smart move by any means. You can make an enquiry below and let our advisors do all the hard work for you.